Since it is technically ‘winter’ here… oh come on it was like 20 degrees (celcius) last night… that’s cold, isn’t it? I bought this fabulous cotton/spandex at my favourite Chiang Mai fabric store (Narin Fabric Supermarket, in case you’re interested) for about $4/metre and it’s 150cm wide. And my wonderful sister popped along to the recent Spotlight sale and picked me up 5 patterns for $10. This is one of them and I didn’t even realise at the time that it was a Palmer/Pletsch fitting pattern, which I now hope will help with the fit. I am going to make view A, long close fitting pants. I hope to move the fly zip to a side zip. I’ve always found side zips pants to be a good fit and they don’t add any extra bulk or detail to the front (which I definitely don’t need). So that’s one plan for December. There are several more, including a Christmas day dress, which I’ll post more about soon. 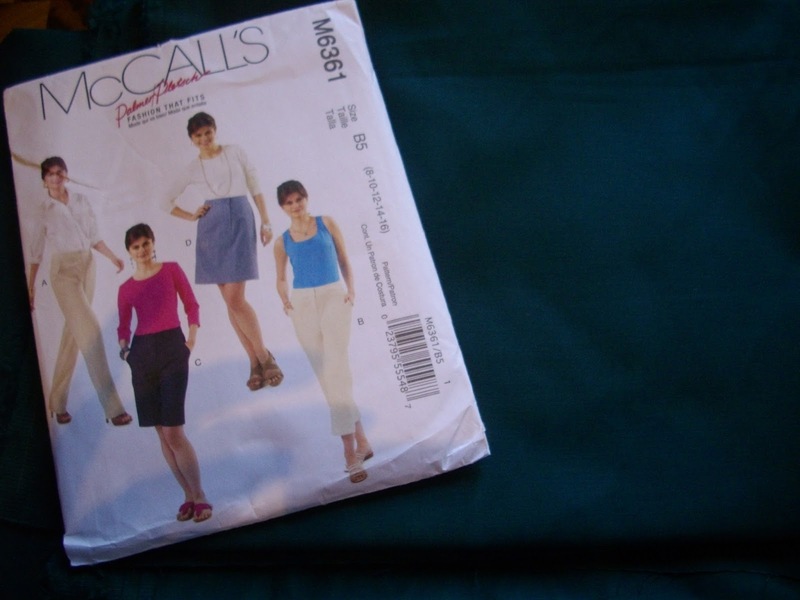 And since the pants are green they also count towards the Sewcialists Sew Green December. (You can also follow them on twitter) two birds, one stone – love it! So what are you sewing in December? Hi Gaye – just found this post – this looks a good project to tackle – pants can be a bit tricky. I agree with you about the front zip, so it will be great to see how these work out with the side zip. If they can make me feel 19 again then they would definitely be magic pants.